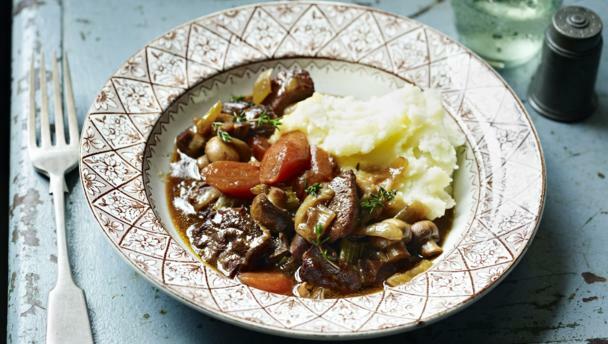 This is a rich and comforting stew that is smart enough to serve for a dinner party. I like to serve it with mashed potatoes or my potatoes dauphinoise and a green vegetable. Heat the oil in a large flameproof casserole and add the beef. Fry until browned on all sides – you may need to do this in batches, as you don’t want to over-crowd the pan. It is important to brown the beef and not stew it.